Old MacDonald had a farm, E-I-E-I-O. 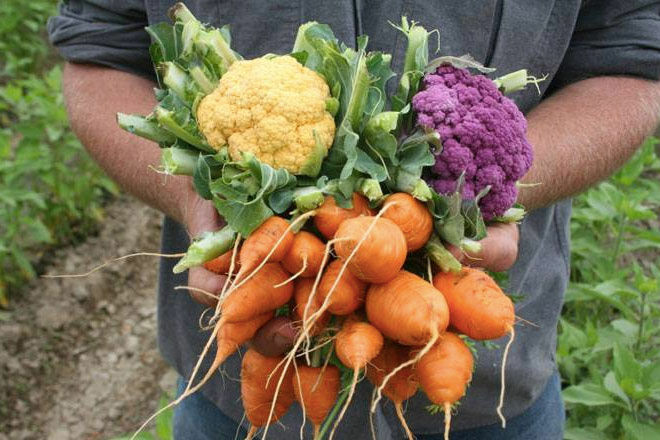 And on his farm he had a… basket full of fresh, fabulous produce! 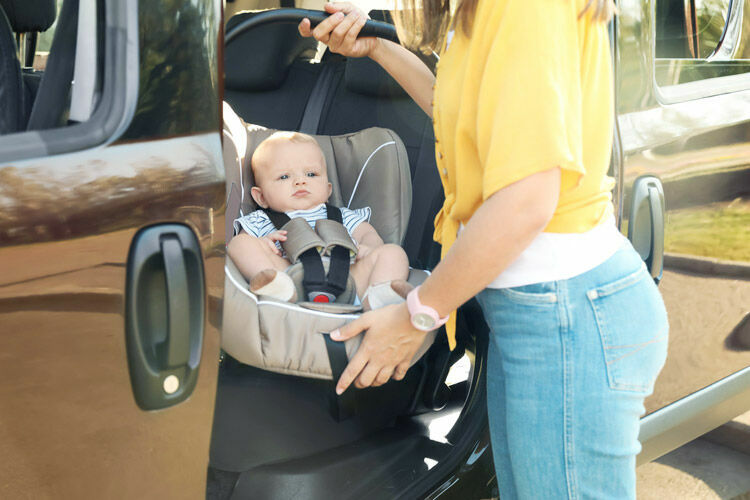 Showing your kiddo where their food comes from is a great way to teach them about the world, go on a fun family outing and encourage timid tykes to try new foods. 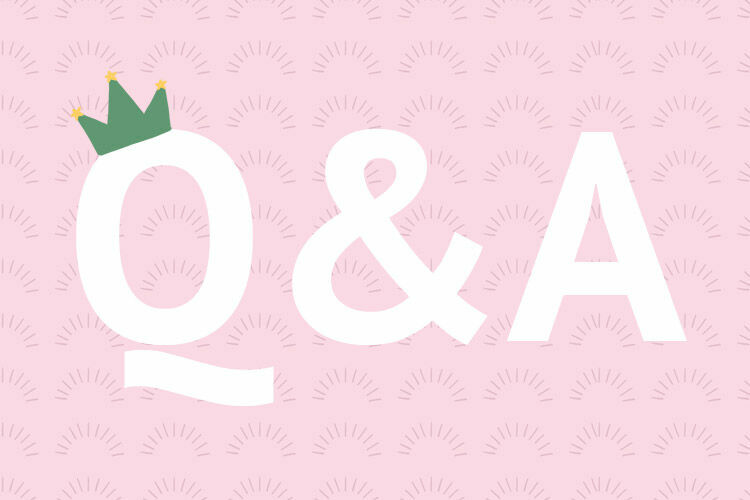 Whether you tour a farm, pick your own fruit or peek into the world of food processing, your young food explorer will find fascinating answers to the “where does food come from?” question. 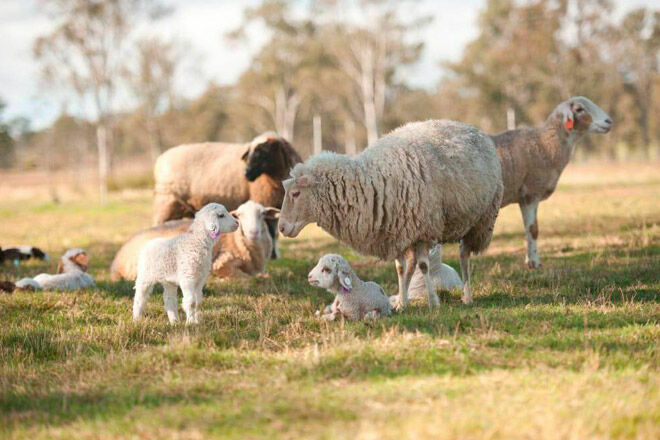 Here are 13 places to see how food is produced in Queensland. E, I, E, I, let’s go! 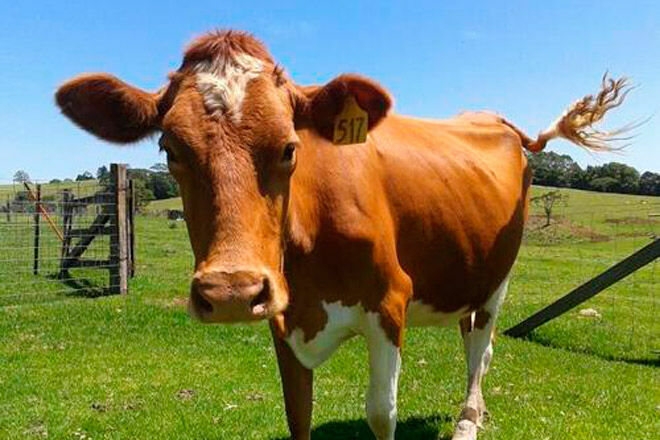 To see how milk gets from cow to cup, join the Maleny Dairies farm and factory tour. With cows to meet, animals to feed, a factory to peer into and taste-testing at the end, this tour is a winner. Just like their strawberry yoghurt – yum! Tours run Monday to Saturday at 10:30am and 2:30pm. 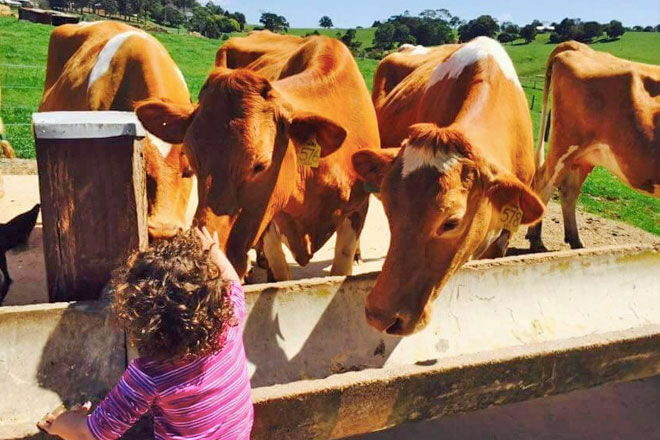 Go along at 10am to help feed the Springers, or choose an afternoon tour to see cows being milked. 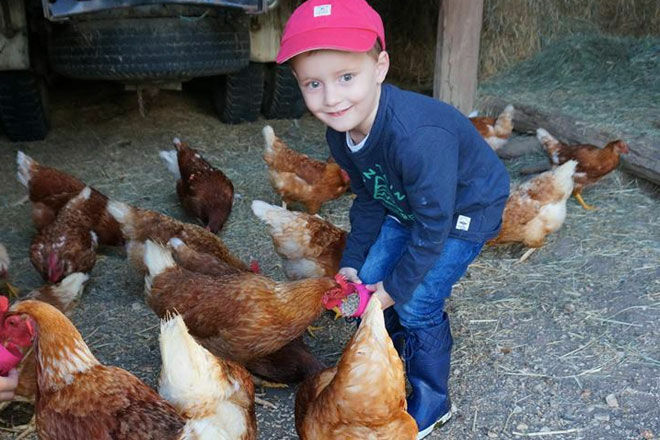 Tours cost $11 per person (ages two and over), call (07) 5494 2392 to book. 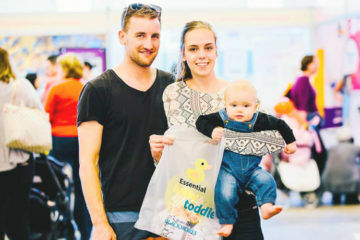 Tours cost $11 per person (ages two and over), call (07) 5494 2392 to book. Cow Cam is fun too! Located in Maleny on the Sunshine Coast, 90 minutes from Brisbane. 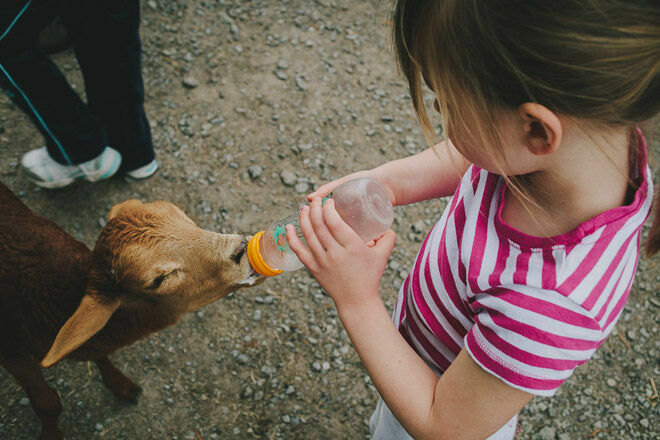 Whether you stay at Lillydale Farmstead or do a day tour, kids will be keen as beans to collect eggs and milk a cow. The pony rides, fishing, maze and Dinosaur Cave will also be of interest! See their day tour options (bookings essential) and accommodation. 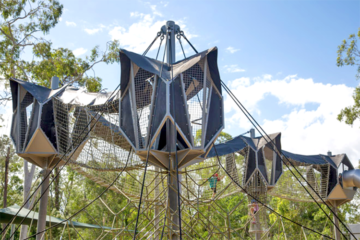 Located at Mt Barney in South East Queensland, 90 minutes from Brisbane. First Saturday of each month (excluding the summer months) from 9am to 12 noon. No bookings needed. Cost is $10 per person (ages two and over) and $30 (two adults, two kids). Located at Mt Samson, 45 minutes from Brisbane’s CBD. This genuine working farm owned by the Tommerup family opens its doors to visitors on their three open days per year or you can try some immersion therapy with a farmstay. Both offer a great way for Young Macdonalds to get the inside scoop on food production. More info here (bookings essential), 7am to 1pm. Find out more about farmstays here. Located at Kerry in South East Queensland, 80 minutes from Brisbane. Cheese please! Poppets will love taking a tour at Towri Sheep Cheeses (by appointment) or you can keep an eye out for their open days. With a milking demonstration, grazing platters to snack on and gorgeous little lambs, this is a fab day out for young and old(er)! Open by appointment on Fridays from 10am – 3pm. More info here. Located at Allenview, one hour from Brisbane. 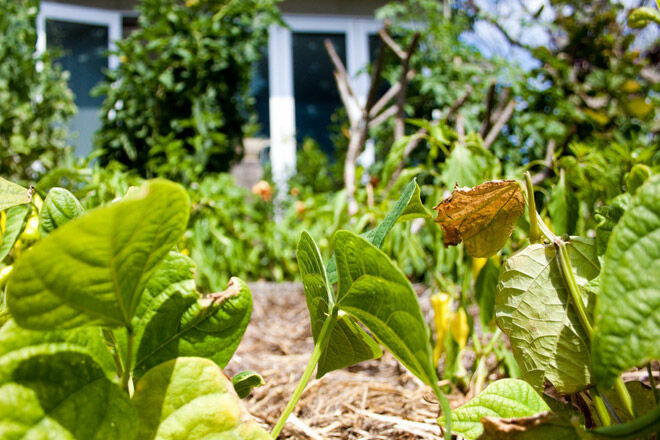 Northey Street City Farm brings permaculture to the heart of Brisbane! Meet under the mango tree for a tour of this urban farm, including food gardens and an orchard. Tours run Tuesdays at 9:30am (free). 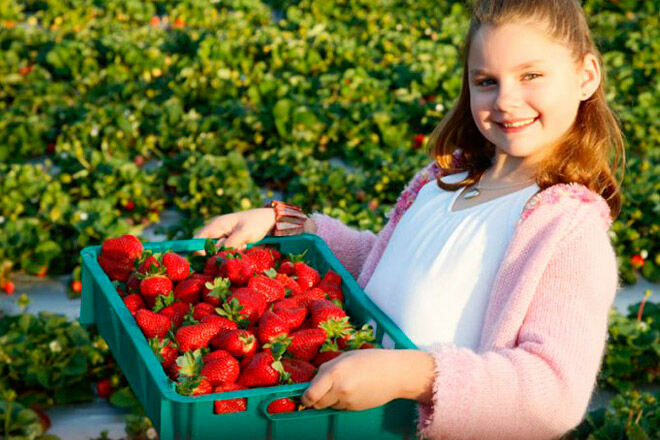 Buying strawberries in the supermarket is a world away from picking your own in a field, so pack your punnets and head for Strawberry Fields for some pick-your-own strawberry flavoured adventures. 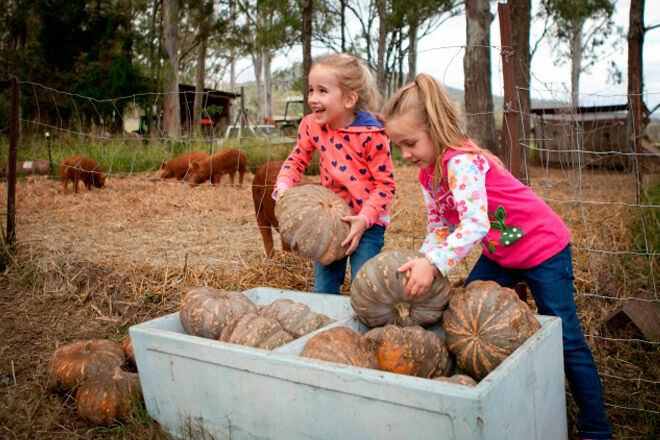 You can Fill your punnets at the Sunshine Coast Farm at Palmview from June – November or at Stanthorpe Farm, near the border of Queensland and New South Wales from October to May. Just pay for what you pick. Technically, Tropical Fruit World is in NSW, but it’s so close to the Gold Coast that it’s a must-do! 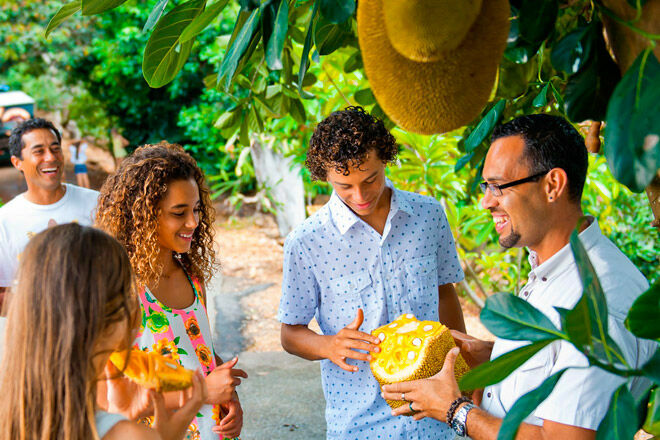 With over 500 fruits growing on the farm, the Plantation Safari is a great way for kids to see, touch and taste these fruity sensations. Open daily 10am to 4pm, closed Christmas Day. Single visit costs $45 (adult), $25 (ages four to 16), $110 (two adults, two kids) and $120 (two adults, three kids). 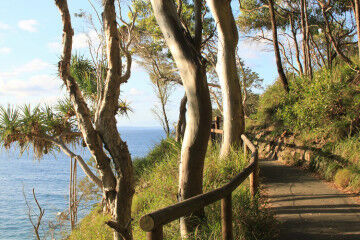 Located at Duranbah, New South Wales, one hour and 45 minutes from Brisbane. 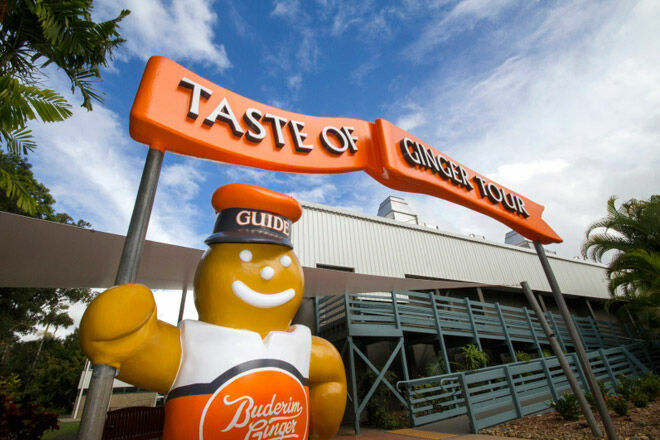 To see how ginger is grown, harvested and made into gingerbread men, head to The Ginger Factory . After the factory tour, ride the Ginger Train, cruise on the Overboard boat and take kiddo’s photo with a gingerbread giant. Tours run daily at 10am, 11am, 12 noon, 1:30pm, 2:30pm and 3:30pm. Cost is $15 (adult), $11 (child), $13 (senior) and $57 (family). 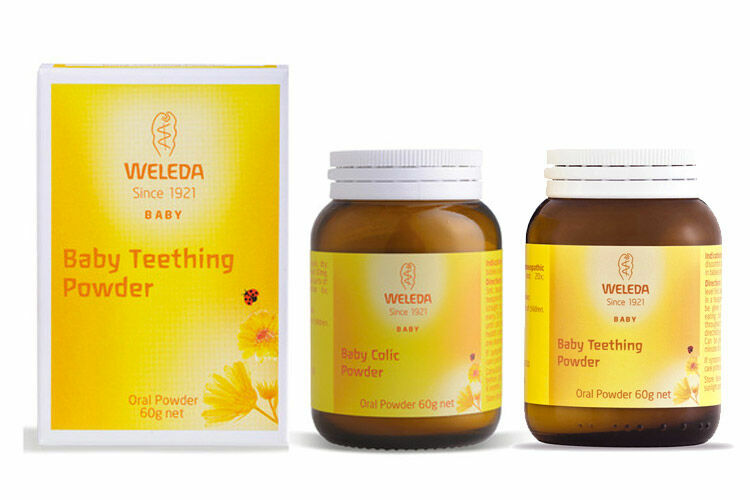 Located at Yandina on the Sunshine Coast, 90 minutes from Brisbane. 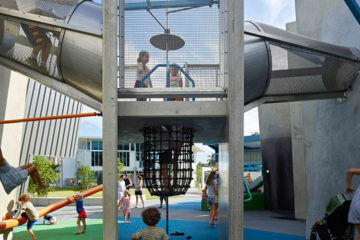 Make a bee-line for Honeyworld on the Gold Coast. 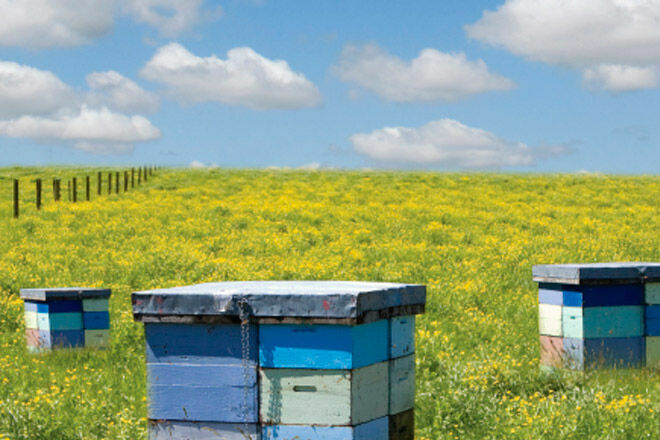 Kids get to see bees up-close, and the live beekeeping shows explains how honey is made – from flower to hive to kiddo’s honey toast! Show costs $12.50 (adult), $10 (three to 13 years) and $40 (two adults, two kids). 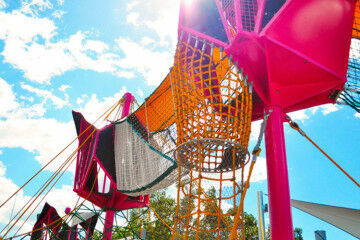 Located at Currumbin on the Gold Coast, 90 minutes from Brisbane. Sweet Farm Tours is way up near the Daintree, but if you’re in the area, their Cocoa and Sugarcane Tour will excite chocoholics of all ages! 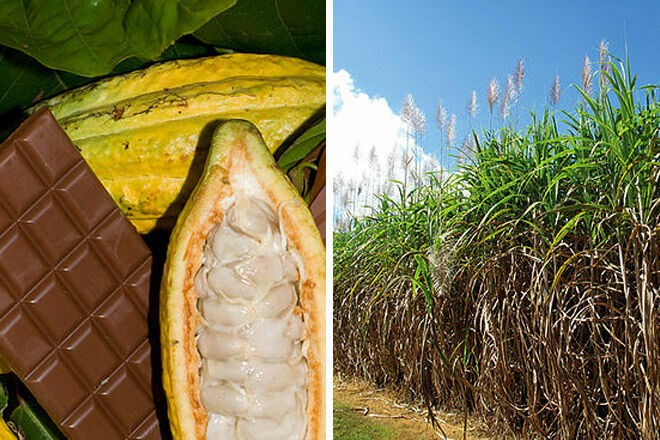 See how cocoa and sugar are grown and harvested, then taste the end product – CHOCCIE! Tours cost $25 (adult), $12 (child) and $65 (two adults, two kids). Call (07) 4098 8134 to book. 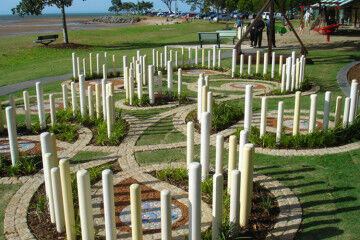 Located at Miallo, 30 minutes from Port Douglas. 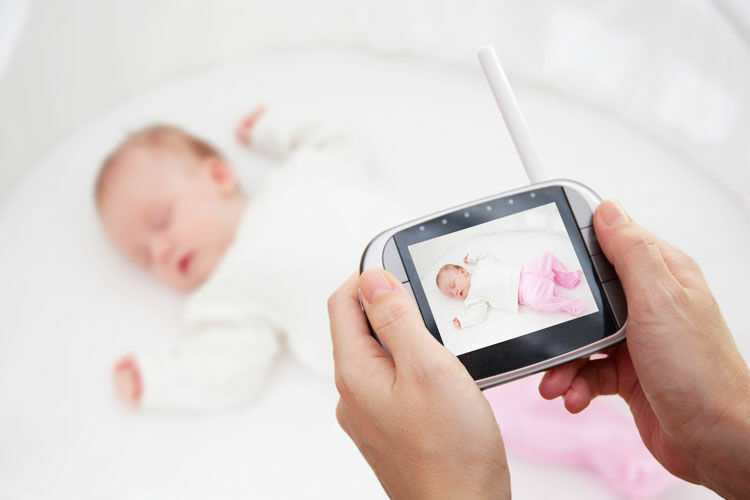 Once you’re back home, there are lots of ways to show kids where food comes from. Whether you make homemade butter (with cream and elbow grease), grow your own herbs or vegies, join a community garden or get some chickens (if you have space), it’s fun to unlock the mysteries of food.